As part of our ongoing series highlighting members of the Comtel and Simplicity VoIP team, this month, we sat down Shelton Copeland, one of our trusted team members. 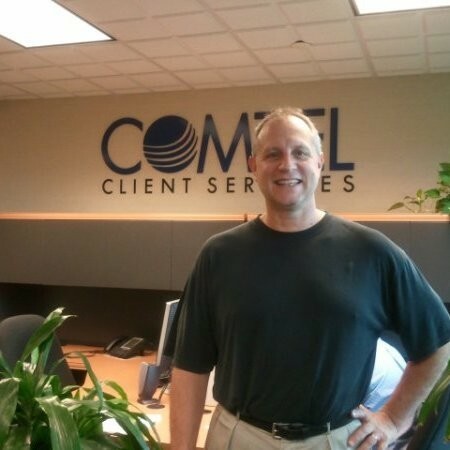 He has been affiliated with Comtel Communications for almost eleven years. Shelton has played a key role in our success as he has supported numerous enterprise accounts. For this blog post, we wanted to shine the spotlight on him and hear his perspectives about this ever-evolving industry first hand. Q: How did you get involved in sales? A: I became interested in sales so I could benefit from hard work and set my own path. I also enjoy meeting and getting to know new people. Which is a great combination. Q: Where was your first job? A: Actually, my first job was as a personal trainer for a health club. At the club, I sold memberships to prospective students and customers. This experience helped guide me towards sales as a career. A: In December, I will have been with the companies for eleven years. A: I have been in the telecom industry for about 31 years. Before Comtel and Simplicity, I have worked for Verizon and AT&T in the northern and central Virginia area. A: So much has changed since I first started out, but the things that stick out to me the most are the products, services, and competition that has evolved over the years. Also, the lifecycle of products is moving faster alongside new technology. It's definitely more complex and there are way more providers now than there were. There’s a lot more services now, there are thousands of services in the industry today as opposed to a few hundred services years ago. A: I like to think of my role as a trusted advisor for my customers. I have a multitude of providers available to sell in my portfolio, but I focus on what my customer needs first and foremost. This is my priority. Q: What is the most frustrating part about your job? A: The most frustrating part for me is when carriers delivering circuits late. I don’t like to inconvenience my customers. Incorrect billings can also be frustrating, but I get involved and we have an entire client services team to take that on and take the weight off our customers shoulders. Q: What do you think is the most important part about sales? A: To me, the most important part of sales is building long-term relationships with my customers. I have had some customers for 20 years. A: My favorite tradition at Comtel is probably birthday lunches! A: At Comtel and Simplicity, we all get along, share ideas, and share best practices. Coming into work is like working with your family every day. We really care about each other.